Graveside services for Leroy Pete Vaughn, 53, West Plains, Missouri, will be held at 2:00 p.m., Saturday, January 26, 2019 at Howell Memorial Park Cemetery. Mr. Vaughn passed away at 2:42 p.m., Sunday, January 20, 2019 at Ozarks Medical Center. He was born November 28, 1965, at St. Louis, Missouri, to Leo Everett Vaughn and Kittie Marie White Vaughn. On January 20, 1990, he was married at West Plains, Missouri, to Renea Hamilton and to this union two daughters were born, Laticia and Annessa Vaughn. Leroy loved his family and spending time with his grandkids; he enjoyed fishing and hunting. 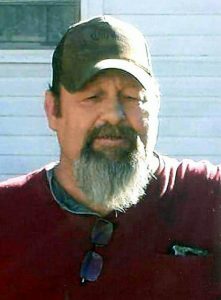 He is survived by his fiancé, Donna Pelters; his daughters, Laticia Vaughn and Annessa Vaughn and their mother, Renea Vaughn; his sons, Michael Crabtree and wife, Kim and Leroy P. Vaughn, Jr.; five grandchildren, Evan Palmer, Katie Crabtree, Scotty Niederklopfer, Sydnee Crabtree and Ariana Niederklopfer; his mother, Kittie Vaughn; four sisters, Ruby Walker and husband, Dale, Kelly Carter and husband, Larry, Georgina “Gina” Collins-Henderson and husband, Kevin and Christine Johnson; and many nieces, nephews, aunts, uncles, cousins and friends. His father, grandmother, Georgia White, sister, Mary Smith and brother-in-law, Donald Collins, preceded him in death. Memorial contributions may be made to the American Heart Association and may be left at Robertson-Drago Funeral Home. I’m so sorry for your loss. May your family find comfort in God’s promise to eliminate sickness, suffering and death and bring our loved ones back to life in a beautiful paradise here on earth. Loved this sweet, gentle man. You may be gone but never forgotten. See you on the other side. I am sorry for the loss of your son. I will keep you in my daily prayers and thoughts. May God comfort, encourage, and support you daily thru this difficult time. May God bless you.